For those of you that live in Hamilton or Marion Counties in Indiana, you might be interested in the activity that is happening regarding the White River. 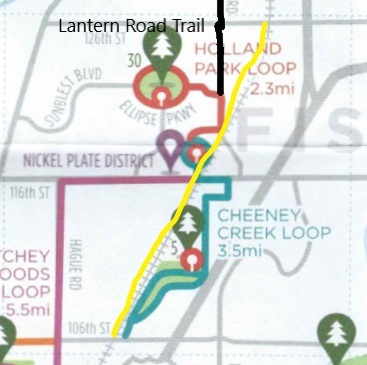 There is a lot of noise about the Nickel Plate Trail project in Hamilton County, but the real story might be around the White River for those truly interested in getting outdoors. There is a committee that has been working on a project that spans the 58 miles of the White River through Hamilton and Marion counties. On November 5th, they had their second public meeting regarding the White River Vision Plan. Water quality of the river and the ecological/environmental value of the area. 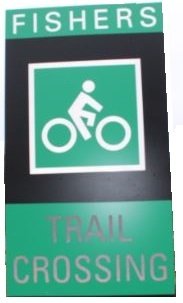 Connections to things around the rivers such as biking trails, hiking, neighborhoods, arts, entertainment, and attractions. Educational water experiences including history, nature, and more. This WRVP is working to create a plan that will offer recommendations for what should be done with the river and the area around it. Once the plan is completed over the next year, the WRVP group will continue to stay involve helping support projects, support infrastructure, and provide recommendations for funding to help keep the plan moving forward. Funding for the plan would come from both private and public sources; however, the amount and details of the funding should happen after a plan is created. The current timeline is shown below. The second public meeting just happened. In the second public meeting, there were a couple dozen attendees. Most were from the Northern part of Hamilton County and were there to express concern regarding any plans that might impede on their land that borders the river. While the River is state property up, the land next to the river is only public up to the flood lines. This means that in most areas along the river, the land is private property. This is something the WRVP group is aware of and working to help maintain. My daughters and I have canoed down the White River many times. While the WRVP goes as far north as 246th Street, we’ve only canoed from around 211th Street down to 116th Street. In addition to that, within Hamilton County, we’ve been to the parks within that areas as well as those down to 96th Street. 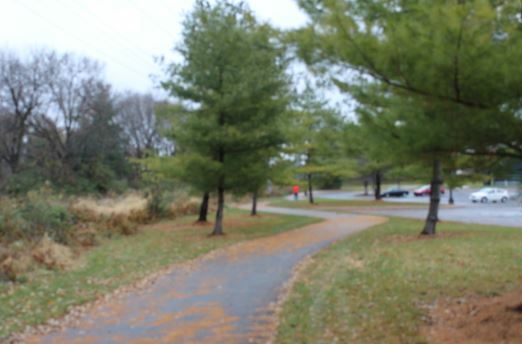 In Noblesville, Potters Bridge Park is a location we visit regularly throughout the entire year. This small park has a covered bridge that goes over the White River. It also has a canoe launching area. 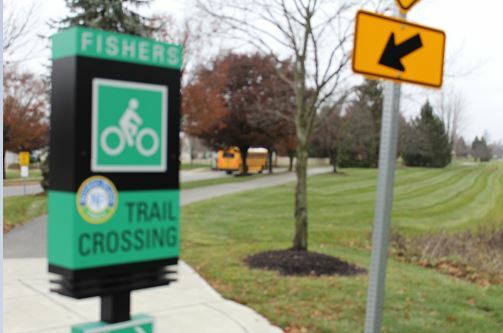 Most importantly, it has a trial with distant markers that go from the bridge area down to Forrest Park in Noblesville. It is great for walking, running, or biking. This is a place to fish as well as a starting point for tubers that use the river. Forrest Park is on the other side of a road next to the river. This part is full of activities, but related to the river, there is a public boat launch at the south side of the park off of Cicero Road. This is an area my girls and I have used as a launching point for canoeing. We go from this location down to 116th Street over the course of a few hours. If you’ve not been to downtown Noblesville near the White River, you’ve missed a nice area to get out and walk. 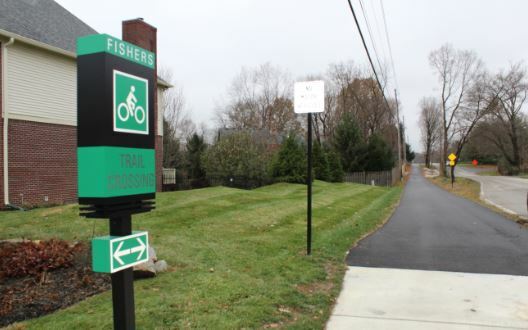 Noblesville has created walkways (that can also be used with bikes) along the White River. This includes a bridge that goes over the river to Forrest Park. Conner Prairie is not public access, but the river goes along and through its property. Conner Prairie has been working to do more with the river. River Road Park is on the Carmel side of the river. In addition to having walking and biking paths, that are near the river, there is access to get to the river for fishing and more. The bike paths go north of this park up to around River Road and the areas that are next to the river. 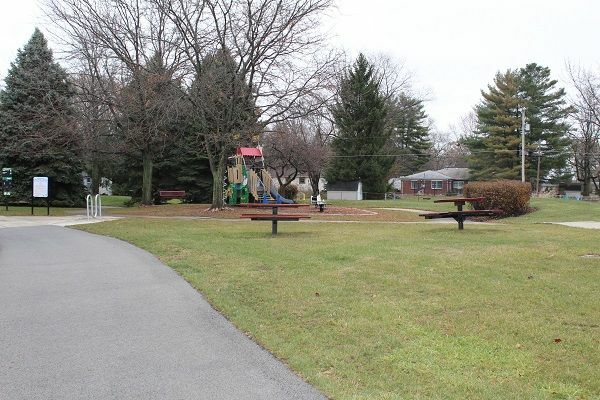 This is a smaller park with a fun playground and some rolling mounds that are fun to run on. This park is just north of 116th Street on River Road (Carmel side of river). While this is near the river, my girls and I have not managed to get to the river from this park. On the Northeast side of 116th Street and the White River is public access to the White River. This is an area where boats, kayaks, and canoes can be launched. This launch area is in a flood zone, so other than being able to access the river, there isn’t much here. Riverside School has a park behind ti that is sued for sports and school activities. This area also has trails that go down along the White River that are used. The Hazel Landing Park is one of the more secret parks along the White River. 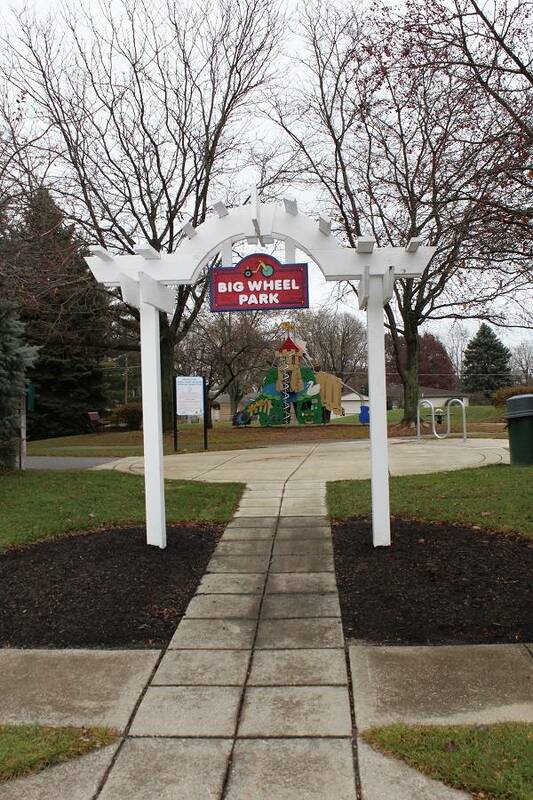 This park is accessible on the Carmel side at 106th Street off of Hazel Dell Parkway. The access road at Hazel Dell is gravel and down a small dip. Once you go back towards the river on the gravel road, you hit a nice paved area with a parking lot. This park has great access to the river for fishing. 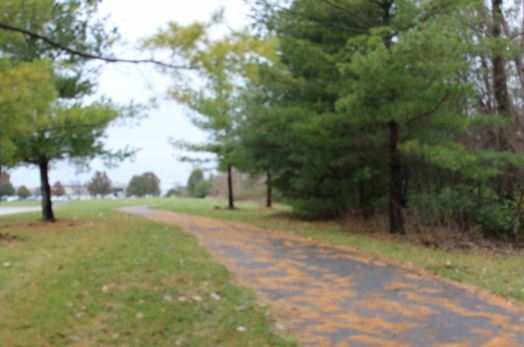 It is marked as a canoe launch, although it won’t be as easy as 116th Street or the areas in Noblesville. This park has a couple of picnic tables and lots of huge trees. More recently this part was updated with a frisbee golf course. On the Fishers side of the river at 106th Street is Heritage Park. This is not a large park, but it has quite a bit of parking. 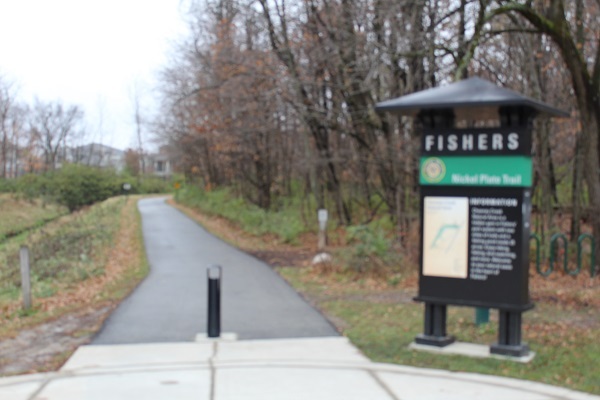 In addition to a historic house, there park has a paved circular trail that goes down next to the river. This park is not the best access for the river, but can be used for fishing. In the winter time, this part is great for sledding as it is primarily a large hill. At 96th Street on the Southwest side there is access to another park. This is in Marion County, but borders Hamilton County. This park has more rugged bike trails and also provides access down to the river. The areas I’ve listed above are primarily in Fishers. As you go further north in Hamilton County, you come to Koteewi Park. There are also campgrounds and a number of other public areas for river access. If you go south into Marion County, you’ll find there is more access to the river. Access goes beyond just Broad Ripple and downtown Indianapolis. The objective of the White River Vision Plan is to review all of the above parks, plus all of the ones I have not listed. The plan also looks at adding additional access points, paths, and more. On their website, MyWhiteRiver.com, there is currently a survey where the public can provide feedback on existing destinations. You can say what you like, don’t like, or have used. The survey also lets you mark areas where you believe the river and area around it could be improved. Finally, the survey lets you say new areas you think should be created as a new destination. The public meetings are a time when people are giving the WRVP committee feedback. Many people at the northern end of Hamilton County have made it clear they don’t want people that use the river to come onto their land. The committee plans to work with those land owners to help find a compatible way to tap the river while respecting privacy and ownership. Additionally, while the idea of trails along the river have been suggested, in areas where land is privately owned, such trails won’t happen. Where trails are possible, they are being suggested. While I’d like to see a trail similar to what is along the River from Potters Bridge to Forrest Park, the lack of public land simply doesn’t make this possible. 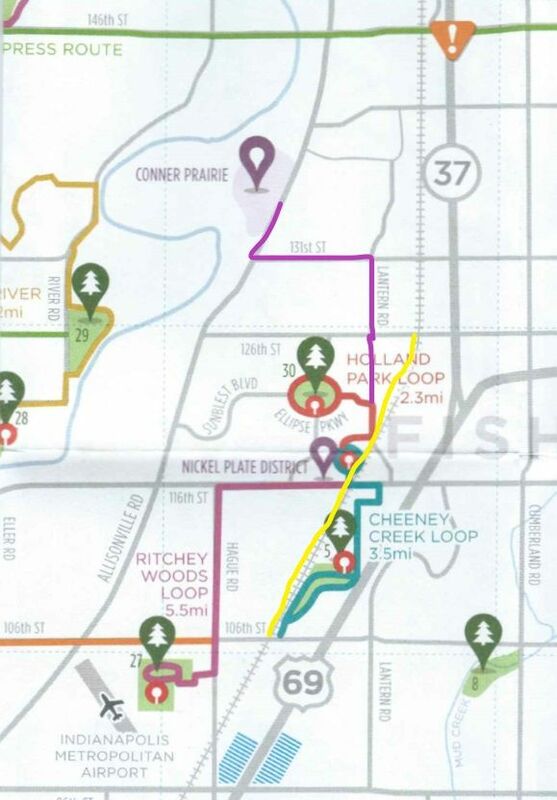 A similar trail from 96th Street to 146th would be better than any Rail Trails that could be built!